Aprecia called upon an advisory board of epilepsy experts to discuss the critical factors of adherence in epilepsy treatment, and to introduce the group to products and programs designed to foster improved adherence to epilepsy medications. Adherence to medications regardless of medical condition is essential to successful treatment. The factors associated with nonadherence include patient-related factors, difficulties with communication between the patient and healthcare provider, disease-related factors, and medication-related factors such as pill burden and side-effects. 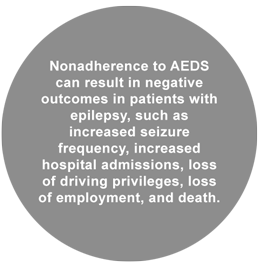 It is likely that a multi-faceted approach tailored to each individual patient will be required to combat nonadherence in patients with epilepsy. As a part of this multi-faceted approach, the use of easy-to- swallow dosage forms, such as the ZipDose® formulation, may play an important part of future programs to help improve patient adherence to medications in epilepsy. To download the full report, tell us a little bit about yourself. Hmm, seems something went wrong while submitting the form. Please try again, but if the problem persists, please contact us.